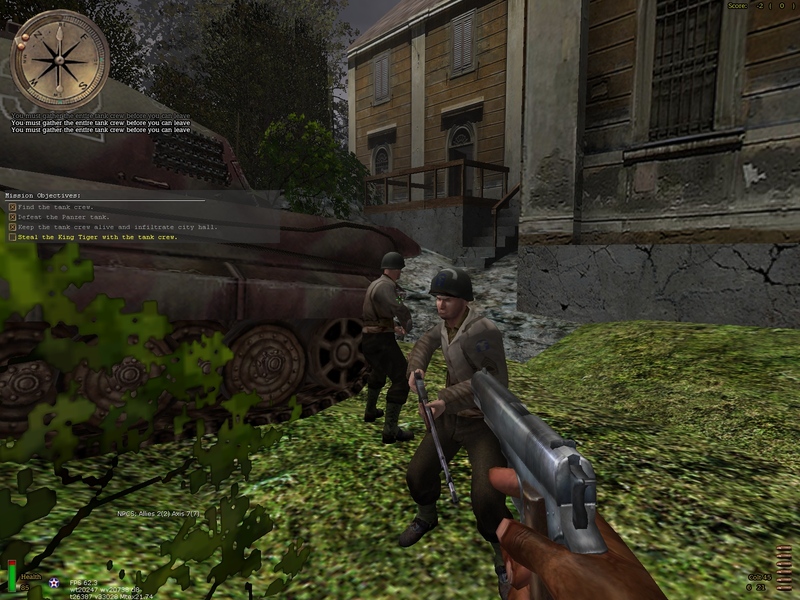 This is a level script based coop mod for Medal of Honor: Allied Assault Warchest, featuring all Singleplayer levels. Supporting up to 8 players via LAN or Internet. Quality brought to you by HaZardModding. Let us be honest, the mod is not as perfect as we would want it to be, but we are trying to make this a good working coop mod. We need you to give us feedback, about issues you are having with the mod. There are a few things that don't work right, yet! This mod has no dedicated server support, as this will need much more time and tests to catch all the issues. So we will need volunteers for testing. But this will be done towards the end of the development cycle. Breakthrough and Spearhead... Well, we plan to go for Breakthrough levels next because we are already using Breakthrough for this mod. We can't tell how long it will take until we have Spearhead working. NPC animations are messing up if the AI dies. Stealth Missions, well, this is something we can not fix with scripts... So you will need to go in with guns blazing :D .
After a few levels the game stops working. This is something that is caused by the massive use of Models and Animations on Singleplayer levels. Restarting the game as host will fix this. Things that do already work. Friendly AI, yes, that is right we got it working. Global Scripts, yes we make all possible adjustments to the global scripts to work in multiplayer. Briefings, yes all mission Briefings are working. Level/Mission Specific Scripts, yes we adjust them to work with multiple players. 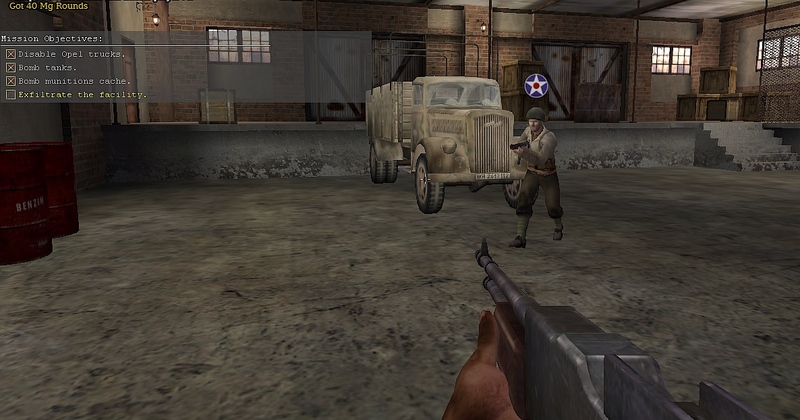 Things like Minefields, Dogs, MG42 Gunners and countless other scripts have been modified and fine-tuned by our best man who did put a lot of effort into this. Player spawn stuck prevention, re-spawn in place manager, spectator manager, item manager and many other comfy things. So that you can enjoy a immersive classical Shooter Coop experience! Driving a Tank! And ye, you can exit the tank by pressing use. Walking around and exploring Tank Levels. Yes, but you get teleported away from bad spots. All Allied Assault Singleplayer Maps. 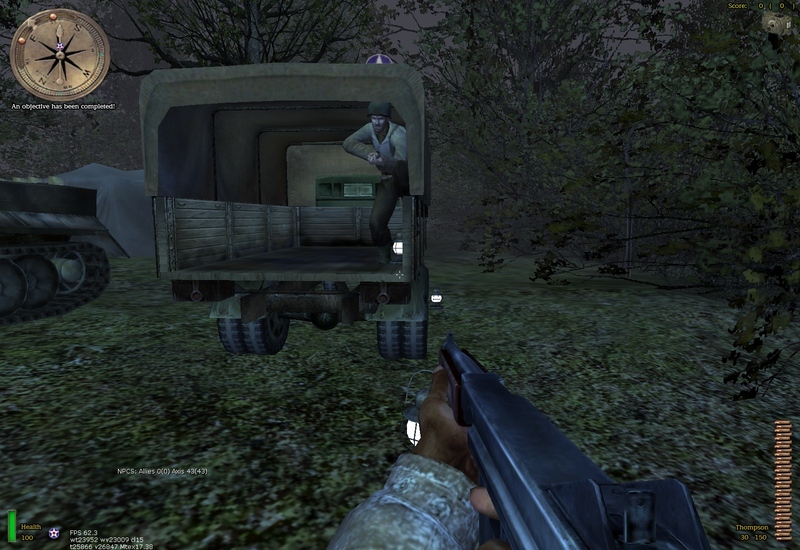 Medic and other special friendly AI. 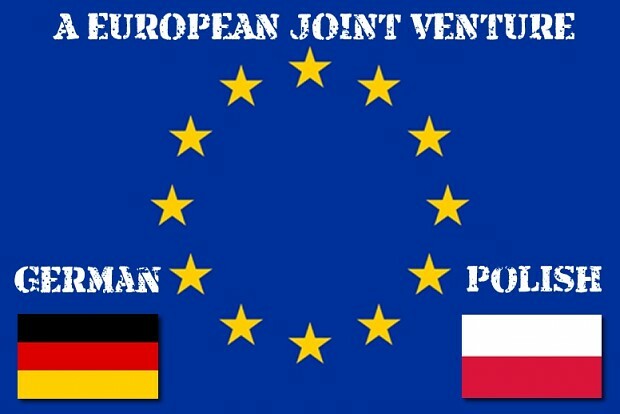 This Modification is a European joint venture! 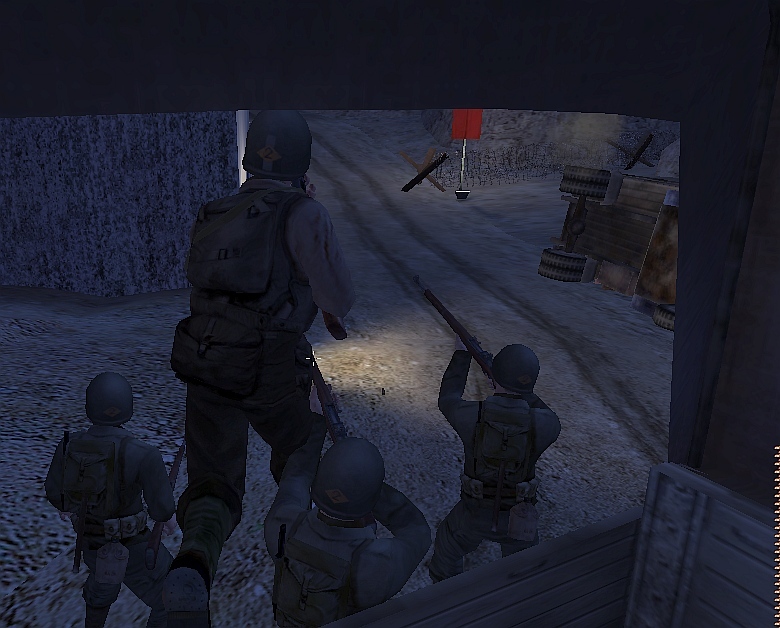 Version 1.00 of the HaZardModding Coop Mod for Medal of Honor Allied Assault. When comparing this coop mod to the older other coop mod, the other coop mod had three "difficulty setting": easy,normal, and hard. The harder the setting the more AI's there would be on a level. However, although this coop mod is a great improvement, It is not as much of a challenge. Although there are five difficulty settings: easy,normal, hard, very hard, and "just die", none of the settings change the number of AI's present on any level. I was wondering if I could beg y'all to add more AI's to each level per difficulty setting in y'all's next update to please make the coop gameplay as challenging as it was in that older other coop mod? we are still working on the Mod, we will start BT part soon. And we focus on high priority things first, like getting it to work in general. 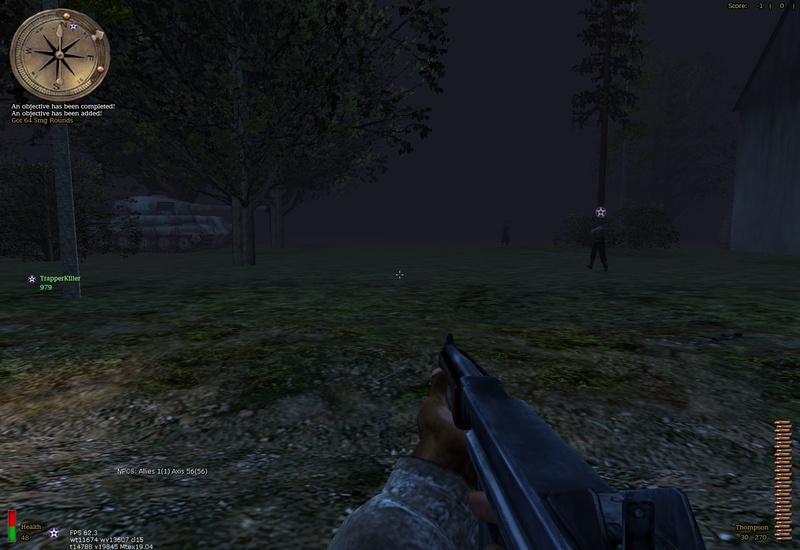 We have plans to add add more AI and make it more difficult later on. But we want first to provide a stable and well working mod that can then be expanded in terms of features. Criminal was already pointing that out to me that it is to easy and we need the difficulty to work, but workflow wise it is better for us to do this at a later stage. Can you tell us which maps are really bad ? Then we could adjust them with the next relase a bit. Yes Sir, I want to help as much as I can so therefore I plan to play through each level one by one and then report back with an "AI difficulty report" and "bug/glitch report" for each. Should I post my findings here on moddb or on the discord feedback section? And also, Is it all right with y'all if in my "report" I make comparisons between the "other coop mod" vs. this hazardcoop version, because this mod seems like an upgrade of that other coop mod and there are areas where the hazardcoop version has make improvements but has take a fews negative steps back as well. Thanks, please report to Discord Chat, it is more suited for that. No, go ahead, make comparisons, the HZM Coop Mod has been done from the scratch, so I am curious of what is the same and what is better or worse. A more polished MoHAA Coop with working scripts and AI? ******* awesome! Why haven't I heard about this before?! Incredible ! I was on the old coop mod, but now with this one, i have a real coop mod, and the best is working scripts ! Exellent! 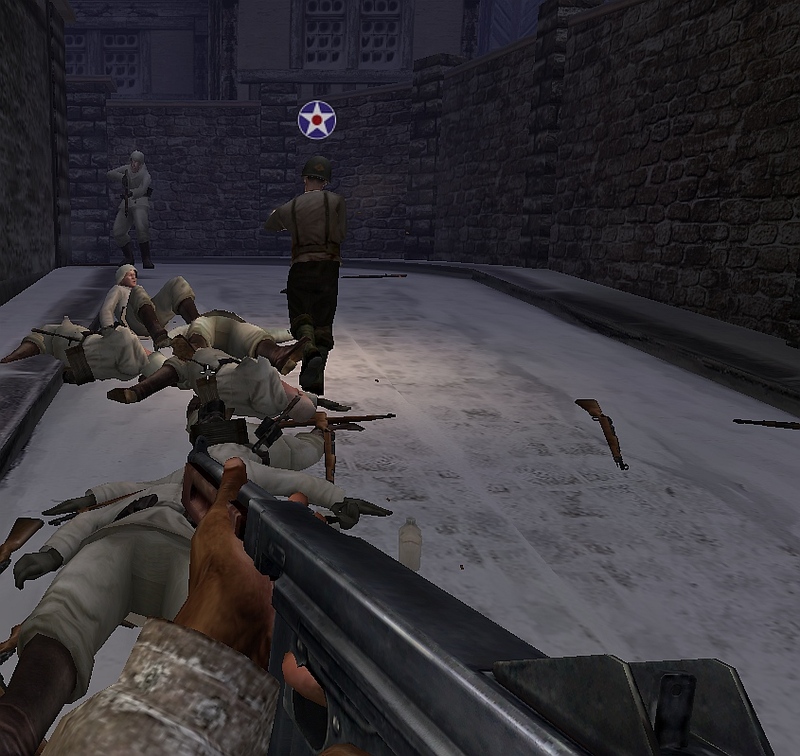 Finnaly we can see a normal coop for Medal of Honor.